Cabe Moss and his two friends Six and Mac started Eagle Securities just over a year ago, and so far business is booming. In recent months Six and Mac have found the women who complete their lives. Cabe had that too, but his fianceé Jess was killed in Afghanistan by a roadside IED two years before. At a bar on Jess’s birthday, he sees a woman he could be attracted to, but he leaves while she goes to drop off drinks to her friends. What kind of a man would he be to hook up with another woman when he still misses Jess? The next day he and his partners are meeting at the FBI building to investigate money laundering in The Lucky Seven Casino. Cabe is tapped to be a high roller and find out how the casino handles large amounts of money, and there will be an FBI agent undercover as a dealer—who turns out to be the woman from the night before. Amy Murray is an FBI agent who just transferred from Atlanta to San Diego after accusing a fellow agent of sexual harassment. She didn’t want to be “that woman” who couldn’t take a little fun, but when it got too much she complained and now she’s in San Diego. Amy specializes in missing women cases after her own mother disappeared over 20 years ago one night while picking up eggnog before Christmas, and was never found. Hopefully, San Diego will be a new start for her. Now she has a new case, Helen Foy, who just disappeared. No friends or family in the area to miss her, no one who seemed to notice she was gone. But soon she is mixed up with another case with Eagle Securities who are after men who appear to be laundering money in a nearby casino. Further investigation reveals other women from the same casino are also missing—could this also be a case of human traffickers picking on women with no one to miss them? Because Amy’s father is a tournament poker player and Amy also has won money during college in tournament play, she is slated to work undercover at the casino as a dealer, and her closest contact also working as a high roller will be Cabe. Amy again has to deal with sexual harassment at the casino, but has to be careful while she’s undercover. Cabe is pretending also, and they must watch themselves so they don’t make a misstep, as the lives of women could be hanging in the balance, plus millions of dollars in cash being laundered right under their noses. This story is as current as the recent headlines and shows how the FBI and others must place themselves in jeopardy every day to do what must be done to keep us safe. Secondary characters are Six and Mac, Cabe’s partners in Eagle Securities. There are various bad guys involved in the money laundering, or are they behind the missing women? Running two major operations in the same place soon gets very complicated. 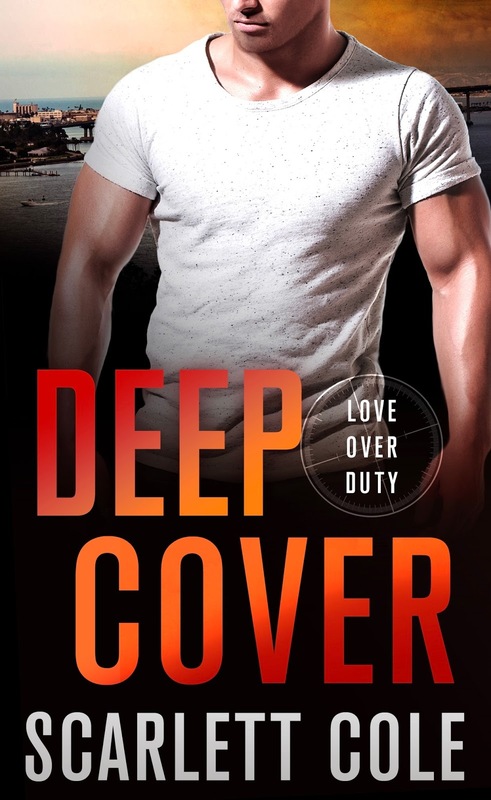 DEEP COVER is the third and last tale in the Love Over Duty Series, UNDER FIRE (August 2017) and FINAL SIEGE (January 2018) featuring the men in Eagle Securities. Cabe has major emotional problems with letting go of the memories of his fianceé, and Amy struggles with dealing with a co-worker romantically after what happened in her career previously. For Amy and Cabe, love and patience are the tricks to move ahead in their lives with their true loves. We are sorry to see the men from Eagle Securities finish their series, but we can always revisit them in their books.